Last edited by neenad; August 29th, 2015 at 09:53 PM.. Thank you very much for these notes, and especially for business law notes. I think all the notes are designed as per BMS syllabus only. MBA syllabus is vast than this syllabus. Is there any website available for MBA notes. The only reason for my this question is that the syllabus combination in MBA is different. For instance, there are 3 seperate subjects in BMS for entrepreneurship, small scale industries and economics. But in MBA the Management Process Skills (MPS) is the subject where there is all the syllabus in these 3 subjects is being included. The question is subject to easy availability of notes only. thanks for posting these notes. 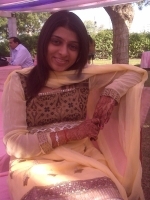 hiiiiiiii..this is neha mirajkar..will u pls suggest some topics 4 100 marks project 4 TY BMS. friends here are few more notes...njoy!!!! Business Analyst at CSC India Ltd.